This past week in Big Ten hoops was another wild one. The three big storylines of the week: Maryland goes 0-2, Purdue upsets Michigan St., Penn State can’t buy a win. Let’s dive into the games! In one of the marquee match-ups of the week, Michigan St. was able to hold Maryland to 55 points off 34 percent shooting in a win over Maryland. Michigan St. never trailed after going up 5-4 early on. Rutgers, who is predominately always at the bottom of the conference, pulled off a surprising win at home over Nebraska, thanks to a +10 rebounding margin. -Myles Johnson came off the bench for 13 points and 11 rebounds for the Scarlet Knights. Michigan again played with fire, but this time escaped thanks to a buzzer-beating baseline floater by Charles Matthews. Michigan was extremely lucky to escape, only shooting 34 percent on the night. Northwestern was able to escape for their third non-conference victory, fighting off a balanced attack from the Hoosiers. 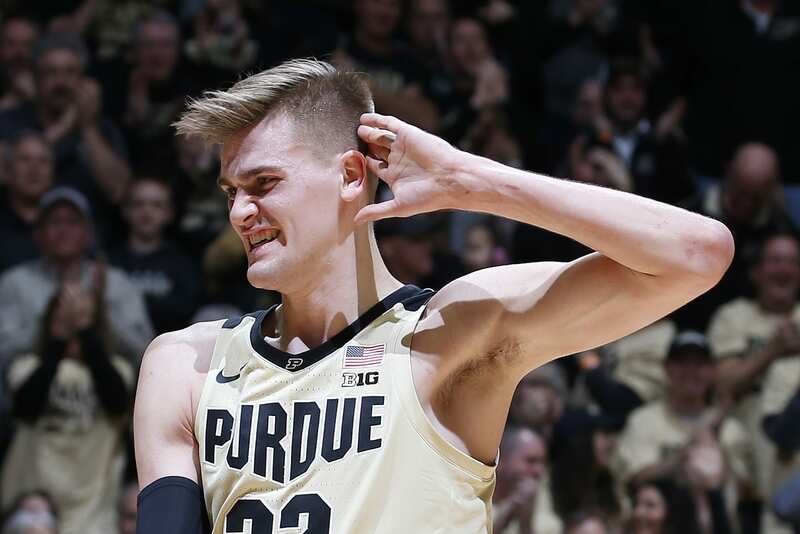 Purdue’s 50 percent shooting from downtown was enough to counter Ohio State shooting 52 percent in their sixth conference win. Despite a quiet night from star Senior Ethan Happ, Wisconsin was able to pull out a win at Illinois. Michigan St.’s 24-4 second-half run was enough to come back and get a quality, ranked win over Iowa. Michigan opened up on a 17-0 run, led wire to wire in a dominating victory at Indiana. Illinois outscored Maryland 48-33 in the second half in an upset win against Maryland at Madison Square Garden. Ohio State was able to hold Nebraska to 36 percent shooting on their home floor as Ohio State came away with a 10 point quality victory. Ethan Happ’s triple-double leads Wisconsin past Northwestern. In a battle of the Big Ten bottom feeders, Penn State remains winless in conference play. Minnesota upsets Iowa at home, drops Iowa from polls. New York Yankees: Can Jacoby Ellsbury Make A Significant Impact In 2019?